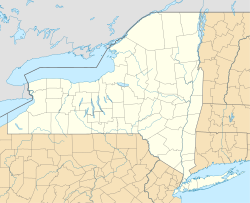 Taunton is a hamlet in the Town of Onondaga in Onondaga County, New York, southwest of the city of Syracuse. Landmarks of Taunton are the former Morey's Mill, once a popular source of apple cider, and Wolf Hollow, an estate created by William S. Andrews, Judge of the New York Court of Appeals, and his wife, noted author Mary Raymond Shipman Andrews. Taunton has a scenic situation amid drumlins at the foot of the Appalachian Plateau escarpment. Taunton was served by an interurban trolley line that connected the cities of Syracuse and Auburn, passing through nearby Split Rock. The trolley right-of-way has become Onondaga Boulevard. This article about a location in Onondaga County, New York is a stub. You can help Wikipedia by expanding it. This page was last edited on 13 April 2018, at 01:38 (UTC).